Witness Abe's horrifying conflict with a terrifying new machination in Oddworld: Soulstorm, a fresh narrative and complete story retake inspired by the original tale. Soulstorm aims to be a massive visual and cinematic leap, featuring intelligent new mechanics and twisted new devices enabling highly explosive deviousness. 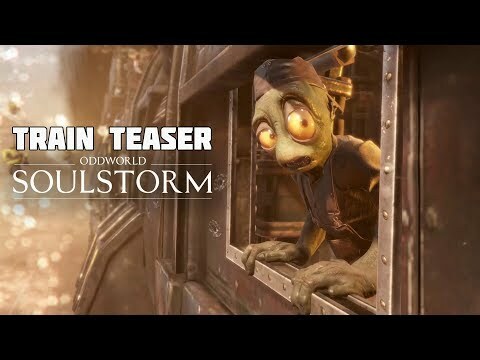 Oddworld: Soulstorm is looking to be a dark parable that tells an epic tale of a volatile society pushed to its limits. So what order are you supposed to play the Oddworld games in? To my knowledge, you start with Abe's Oddysee, and then Abe's Exoddus (though i don't think this one is considered as part of the official story). After that it's Munch's Oddysee, then Stranger's Wrath. I believe New 'n' Tasty is just a remaster of the first game.